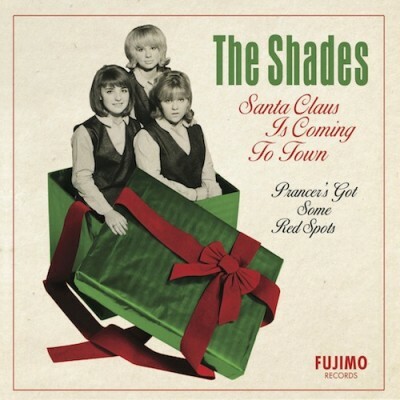 Holiday girl group goodness from a trio of unknown Sacramento sisters. 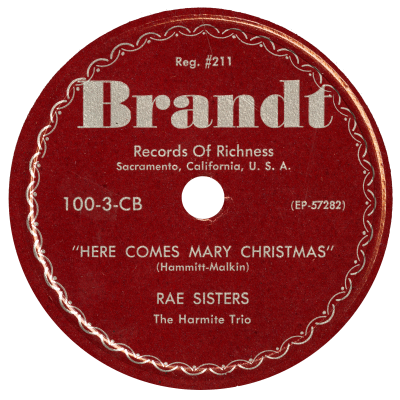 Written by Orlin Hammitt, proprietor of C & H Music (a Sacramento songbook and instrument shop that dabbled in record distribution and music publishing), the 78 rpm single flopped out on his Brandt concern just before Christmas 1952. What became of the Rae Sisters? We’re dying to know.